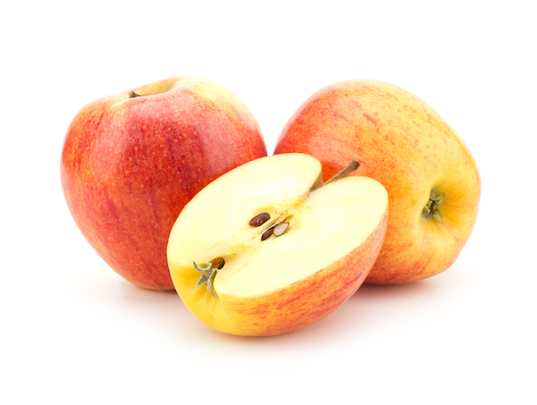 And the winner is… apples! For the fifth year in a row, this perennial fruit favorite is unfortunately topping the Environmental Working Group’s “Dirty Dozen” list. Rounding out the top 12 most contaminated types of fruits and veggies in the group’s 2015 Shopper’s Guide to to Pesticides in Produce are peaches, nectarines, strawberries, grapes, celery, spinach, sweet bell peppers, cucumbers, cherry tomatoes, imported snap peas, and potatoes. The EWG also included their “Clean Fifteen list” of the least pesticide-contaminated produce, which this year included sweet corn, pineapples, cabbage, frozen sweet peas, onions, asparagus, mangoes, papayas, kiwi, eggplant, grapefruit, cantaloupe, and cauliflower. Despite rising awareness about the dangers of pesticides and a growing consumer desire for pesticide-free produce, nearly 2/3 of the produce samples tested by the USDA contained pesticides. When shopping for the produce on the Dirty Dozen list especially, seek out organic varieties as the healthiest option for your family. And the winner is... apples! For the fifth year in a row, this perennial fruit favorite is unfortunately topping the Environmental Working Group's "Dirty Dozen" list. Rounding out the top 12 most contaminated types of fruits and veggies in the group's 2015 Shopper's Guide to to Pesticides in Produce are peaches, nectarines, strawberries, grapes, celery, spinach, sweet bell peppers, cucumbers, cherry tomatoes, imported snap peas, and potatoes. The EWG also included their "Clean Fifteen list" of the least pesticide-contaminated produce, which this year included�sweet corn, pineapples, cabbage, frozen sweet peas, onions, asparagus, mangoes, papayas, kiwi, eggplant, grapefruit, cantaloupe, and cauliflower. Despite rising awareness about the dangers of pesticides and a growing consumer desire for pesticide-free produce, nearly 2/3 of the produce samples tested by the USDA contained pesticides. When shopping for the produce on the Dirty Dozen list especially, seek out organic varieties as the healthiest option for your family.